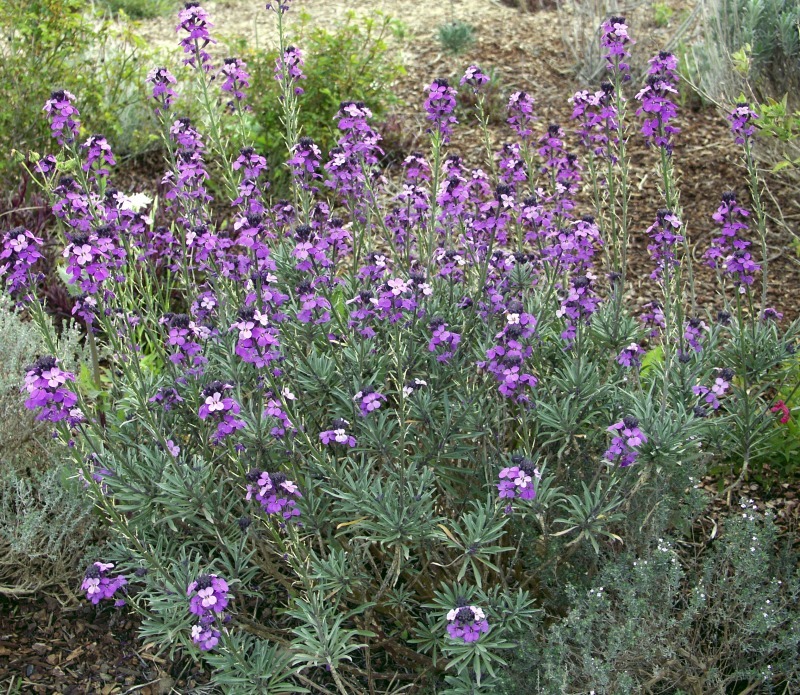 One of the perennial wallflowers, Bowle's Mauve blooms for five or six weeks in early spring. The flowers are varying shades of a luscious purple. Pruning is necessary after bloom. 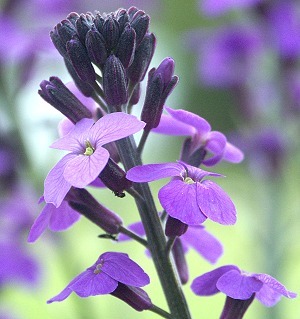 The flower wands will get longer and longer with blooms continuing to open on top. Eventually this gets a bit much and they need to be cut back. The bush is an attractive blue-gray that makes a nice 2 foot mound. This plant is often available in plug trays. These trays hold 128 of all the same plant. They are a great low cost way to fill a lot of space. Each cell is 3/4 of inch by 3/4 of an inch. Check here to see if Bowle's Mauve Plug Trays are available.